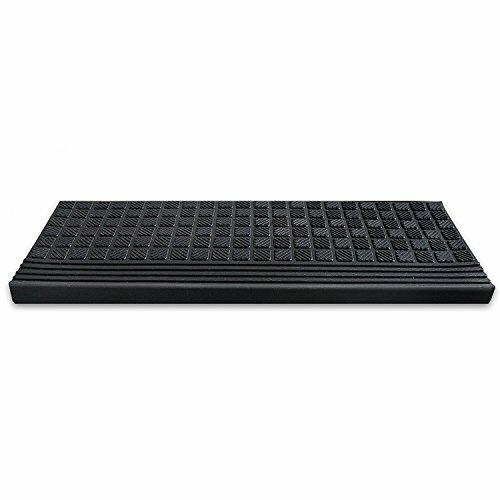 Pack of 5 non-slip outdoor rubber stair treads, with diamond tread surface structure for incredible grip. Multi-directional grooves provide maximum grip, while the gaps in between each groove allows water to drain away almost as quickly as it lands, ensuring a consistently water free surface. Made from 100% pure rubber - incredibly strong and hardwearing, making them suitable for outdoor use during blistering hot summers or harsh winters. Hardwearing yet comfortable surface underfoot, ideal for households with pets. 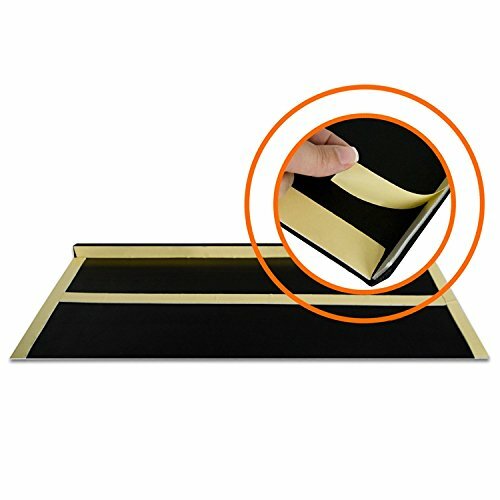 Equipped with self adhesive strips for clean and easy installation. 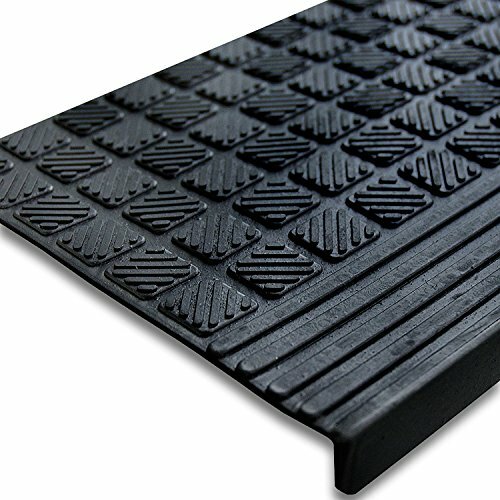 Enhance the safety of your outdoor steps in an instant with these rubber stair treads; the studded backing eliminates the need for adhesive whilst still providing incredible grip, to stay put through rain or shine. Each stair tread is comprised of multi-directional grooved cubes and a thick horizontal grip along the front for maximum safety. Ideal for optimum water drainage, as the gaps between each raised groove allows water to drain away as quickly as it lands. 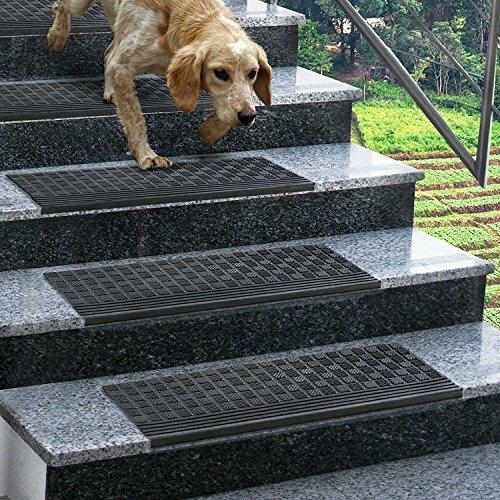 The perforated structure also allows for incredible dirt scraping, ideal for households where muddy pet paws are a regular occurence!